Visit 1EaglePointe.com for a video tour. 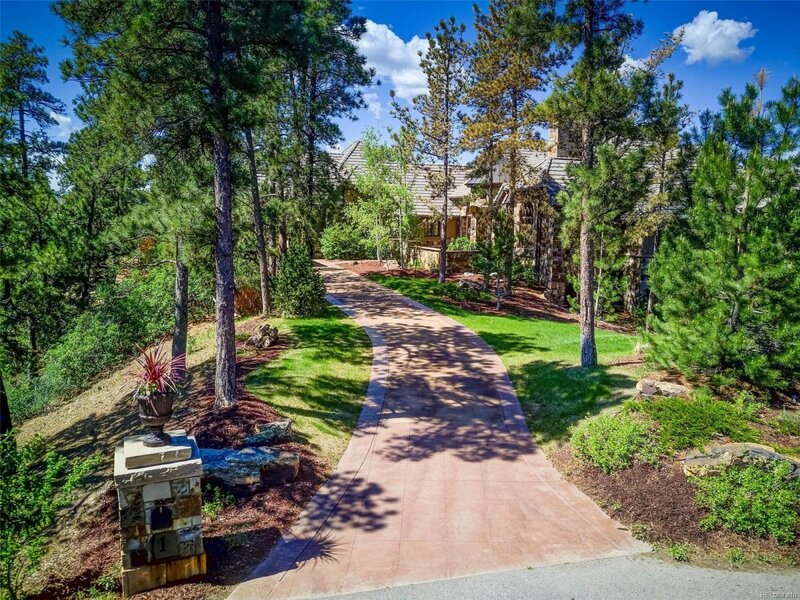 Incredible new updates have transformed this property, making this important estate in prestigious Eagle Pointe of Castle Pines Village even more desirable. Situated high on over 2.5 acres, this home has expansive private mountain views with luxurious finishes that cannot be duplicated. Warm and inviting for entertaining with numerous patios to take in the incredible panoramic mountain views. Light fills the formal dining room, executive study, and large chef's kitchen each accented with gorgeous woodwork and impeccable detailing. The hearth room is a perfect area to enjoy your morning coffee featuring a gorgeous stone fireplace, ceiling detail and doors that slide open to create exceptional indoor / outdoor living. The lower level also has a retractable feature to enjoy magnificent Colorado evenings with guests. The multi-generational or nanny's quarters creates separate living with full kitchen and beautiful views! Call Today for a private tour!